If you wear glasses and are involved in any type of sports, you have likely encountered problems with your glasses fogging up. There's nothing more frustrating than struggling with your glasses when you're trying to focus on a competitive sport, whether it's horseback riding, skiing, motocross or running. There are numerous commercial anti-fog lens cleaners available that work to varying degrees. If you are an avid sportsperson that wears glasses, you'll go through anti-fog lens cleaner so quickly that you're better off learning to make your own so that you can keep a large supply on hand. Mix 1 qt. water, 4 oz. rubbing alcohol, 1/4 tsp. liquid dish washing soap and 1 oz. sudsy ammonia in a spray bottle. 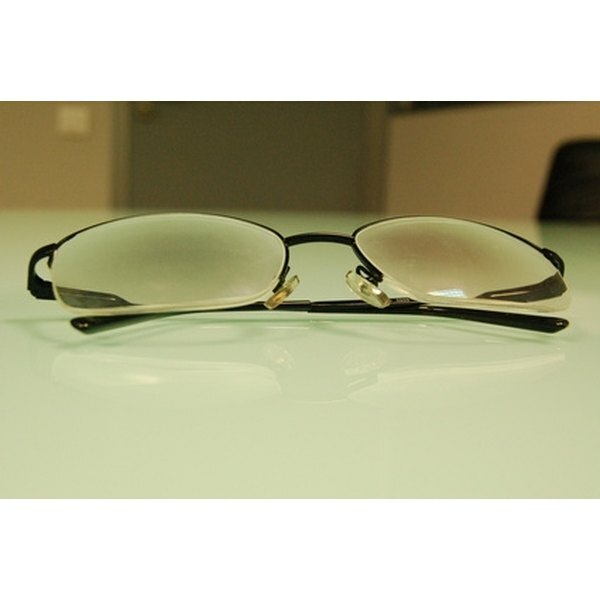 Spray your glasses thoroughly with your homemade anti-fog lens cleaner on both sides of the lenses. Use a lint-free cloth to wipe off the anti-fog lens cleaner. Reapply to your glasses throughout the day as necessary. Pour some of your anti-fog lens cleaner into a travel-size spray bottle and keep it in your pocket so that you have it on hand as needed. Homemade anti-fog lens cleaner can be used to prevent bathroom mirrors and windows from fogging up as well. Be careful not to inadvertently spray the anti-fog lens cleaner in your eyes, as the sudsy ammonia will burn your eyes.